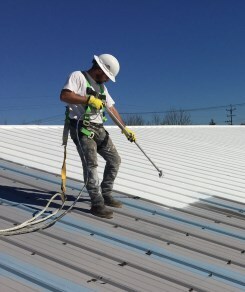 Members of Choice Roof Contractor Group install high-quality roof coating products that are designed to solve all commercial flat roof problems. Because a flat roof has only a slight pitch (it is not completely “flat”, but close), it is prone to certain problems related to that flatness. Regardless of the common set of problems flat roofs are prone to, many building owners opt for a flat roof because of the various benefits they offer, which offset the drawbacks. Commercial building owners choose flat roofs for various reasons. Flat roofs cost less than many other roofing types, for example, which is an attractive feature for any budget-conscious building owner or manager. A flat roof also provides what is essentially an extra floor of usable space where storage facilities, HVAC units and more can be easily placed and accessed. Because of their easier accessibility, flat roofs also make roof inspections and repairs easier to do. A flat roof further simplifies tasks like cleaning gutters and installing and servicing solar panels and other equipment. With all of these benefits, however, flat roofs also have their drawbacks. 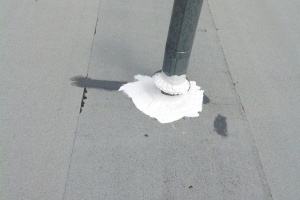 Our flat, white roof coatings reflect over 4/5ths of the sun’s rays–lowering the temperature of your roof by as much as 80 degrees and giving your A/C system a big break as a result. A dark roof, in contrast, reflects only about 6 percent of heat from the sun. That is quite a significant difference in terms of the load on your HVAC system in summer! Why Not Seal Up the WHOLE ROOF for 18 Years? Pressure washing with WAC II ensures proper adhesion. 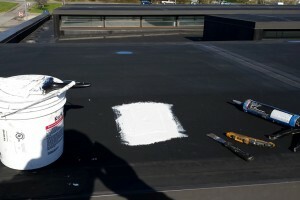 Prime Time or Tack Coat Primer is applied over whole roof. All seams are reinforced with extra coating and fabric. Base coat is applied on top of fabric to fully embed. Vulnerable areas reinforced with Kwik Kaulk and Fabric. With the water-tight Conklin flat roof coating systems, you keep your existing roof almost 100% of the time and save a lot of money (immediately and through long-term energy savings!). Even roofs in terrible shape do not have to be replaced oftentimes. These restoration systems are much more cost effective than commercial roof replacement, or constant leak repair and damage control. No tearing off the old roof – restoring your roof becomes a much more economical and quicker process. In fact, the installation process is so quiet, you may not even notice that a new roof system is being applied during installation. Elastomeric roofs – The elastic coatings our members use dry to a clean, bright and energy-efficient finish that lengthens your roof’s life. In the summer, they expand as necessary. At night, they go back to normal size. No leaks, cracks, or bubbles. EPDM and rubber roofs – Our roof restoration systems are highly reflective and can cut cooling costs up to 15% immediately, in addition to stopping all leaks for decades. Metal roofs – Our roof contractors add a rust resistor before sealing all seams and adding a thick top coat. Your roof will look brand new while saving energy for years to come! PVC, TPO, and built-up roofs – Choice Roof Contractors are fully trained to service any roof. 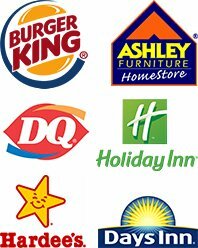 Request a free estimate or inspection and our members will help you determine the best options available. 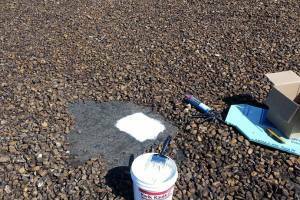 And if your roof is asphalt, our members can fix that too! Asphalt prices have greatly increased, making it much more expensive to replace your roof than to opt for one of our affordable, energy-efficient roof coatings. 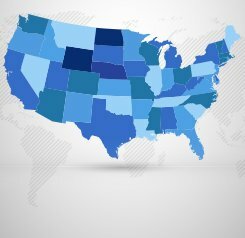 The life expectancy of roll asphalt is only 10 years, while a high-quality roof coating system can last for decades. Get in touch with a Choice Roof Contractor today for a free professional estimate on a Conklin roofing system. Why are Flat Roofs a Popular Choice? There are several reasons why commercial and industrial buildings utilize flat roof systems. One of the more attractive reasons is the cost. Flat roofing systems are much more inexpensive than their sloping roof counterparts. A flat roof also allows for more stability and horizontal space. Certain building elements can be integrated right into a flat roof system freeing up more valuable interior space. Furthermore, flat roofs are much easier to inspect. There is no danger of falling off like there is with a sloped roof system, but flat roofing systems also have quite a few problems that will make themselves painfully obvious in almost no time at all. These are definitely problems that no building owner wants to deal with at anytime, let alone on a regular basis. You don’t have to! 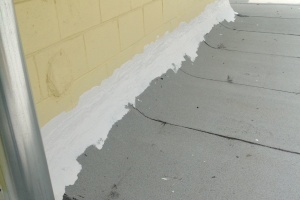 The flat roof repair systems by Conklin completely eliminates all of these common problems. They add new life to your existing flat roof that you may have not known existed.